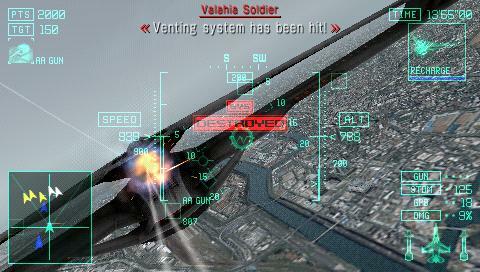 I wouldn’t call myself an expert on the Ace Combat series. Having dabbled in five games starting with Shattered Skies, I’m just barely reaching Ace status. 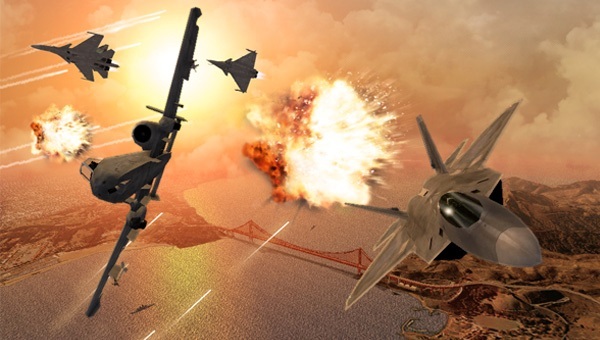 If you count the iPhone game, the full series encompasses thirteen games - eleven that bear the name "Ace Combat", and two that don’t (classic titles Air Combat and Air Combat 22). So, yeah...I’m a rookie by most accounts. Last week I was fortunate enough to be presented with a copy of Ace Combat: Joint Assault, the second PlayStation Portable-only title to feature Project Aces’ award-winning formula of bomb this, missile that. Needless to say: the game has a lot going for it, both in pedigree and in actual player enjoyment. Just how much fun Joint Assault is and whose collection it should grace...well, let’s take a look at that in some detail. The presentation of the main menus - while not important to some players - is nonetheless fluid and easy. In my opinion it suffers from too many loading messages, but they’re brief enough to be little more than a slight annoyance. The blazing orange background never changes, which keeps the menu contrast levels at a good norm. Classic arcade-style sounds punctuate your navigation - long-running fans should be pleased with that. Joint Assault’s controls are really nothing to write home about. By default the bumpers control your boost and flaps (speed), the face buttons control your weapons, the analog nub steers, and the directional pad is for yaw control. Mind you, this is the default “expert” control scheme - there is also an “easy” style and a “custom”, the latter of which is fully customizable. Everything works just fine, although it quickly becomes apparent that the analog nub is not well suited for fine control. Thankfully, Joint Assault doesn’t require much fine control. 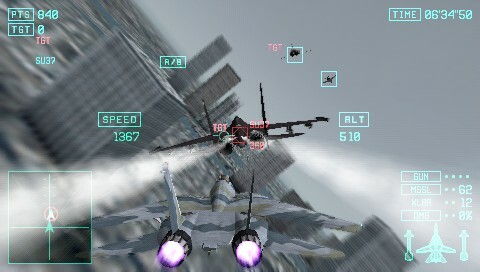 The graphics rival those of the PlayStation 2 Ace Combats - which is not bad at all.